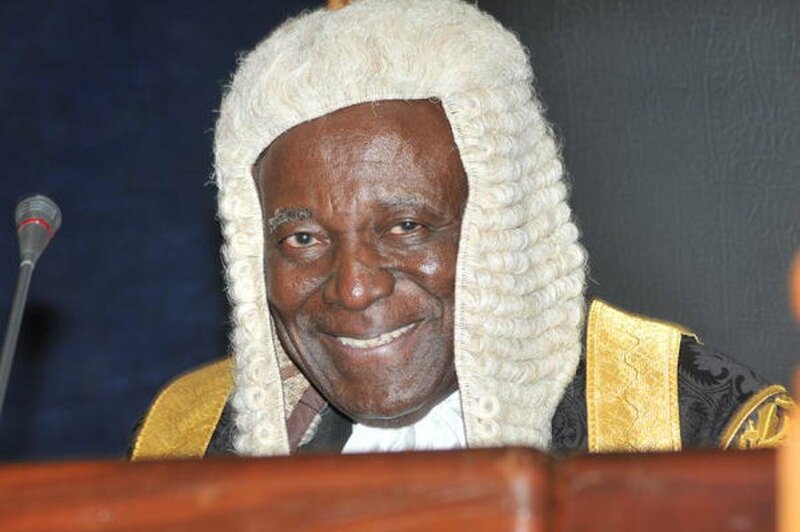 Former Nigeria Chief Justice Idris Legho Kutigi is dead. Kutigi was 78 years old. The Nigerian news agency, NAN, quoted Niger Information Officer Danjuma Sallau as saying that Kutigi had died in a London hospital. Kutigi was Nigeria's Chief Justice between 2007 and 2009, and after his retirement was appointed Chairman of the Constitutional Conference set up by the then Jonathan Administration in 2014. He was born on December 31, 1939 in Kutigi, Lavun local government of the Niger state. He began his early education in the city and later received his secondary education in Bida and Barewa College in Zaria. He also graduated from Ahmadu Bello University, Zaria, and went to England, where he studied at the School of Oriental and African Studies, the University of London and Gibson and Weldon, before returning to the Nigerian Law School in Lagos. Justice Kutigi served as Attorney General and Attorney General in the Niger State until 1976, when he was appointed Supreme Court Justice. He spent more than 10 years at the Bank in Niger before being appointed Supreme Court Justice in 1992. In 2007, he was appointed Supreme Judge, successor to Justice Alfa Belgore.